Chest: Measure the chest at the fullest part placing the tape under the arms. At Craghoppers, we want you to be as comfortable as possible in all of our kit... so we take this very seriously. All of our garments are designed specifically for purpose. Finding the right fit is one of the most important parts of looking and feeling great in your clothes. Consult the charts below to find the best fit to suit you and shop with confidence. Fitted cut with active styling and stretch fabric or detail. A regular cut slimmer through the chest, waist, hem & sleeve. Generous fit for comfort and freedom of movement. 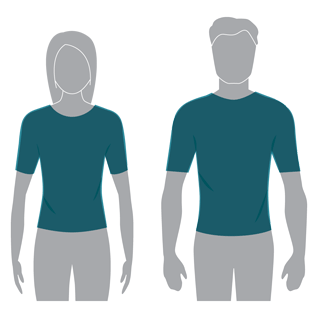 Just the job for hot-climate travel, this lightweight, anti-odour, two-tone Insect Shield® melange tee protects skin from biting insects, helping you stay cool and comfortable, day and night. 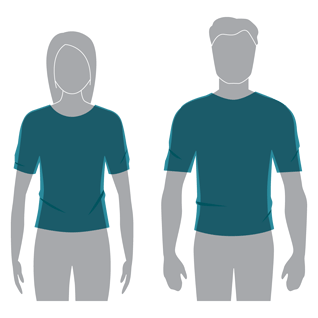 The T-shirt’s long-sleeve construction provides added protection when it counts. Insect Shield® technology converts clothing and gear into long-lasting, effective and convenient insect protection. 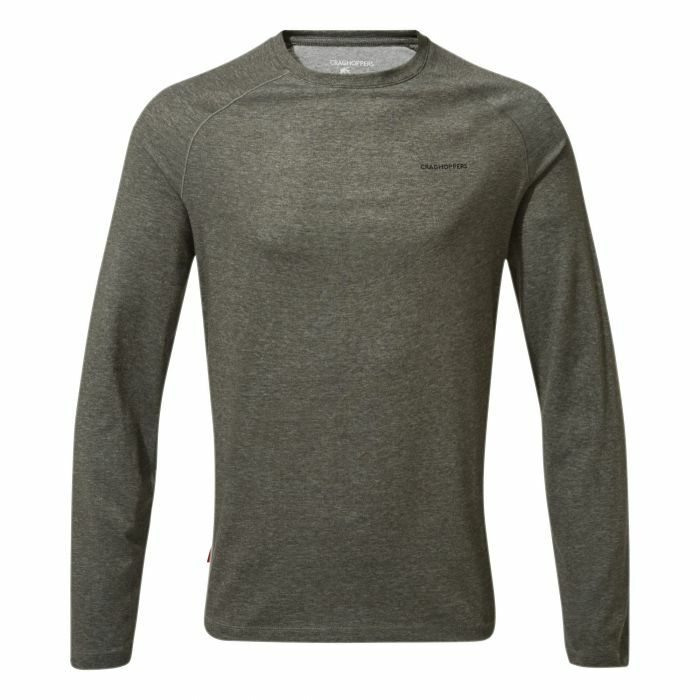 Lightweight - efficient fabric and slimmed down construction for travelling without a struggle. Easy-care, quick-drying fabric reduces the need for ironing. Moisture Control – Keeping you cool on the move. Moves body moisture away from the skin. Keeping you cool on the move and fresh in the most intense humidity. Allowing the skin to breathe these fabrics are engineered for the ability to effectively move moisture away from the skin and to rapidly evaporate it over a large surface area. At Craghoppers we offer a 100% guarantee with all of our clothing if you are not completely satisfied please follow our return instructions on the rear of your delivery note or please see our returns page for more information.